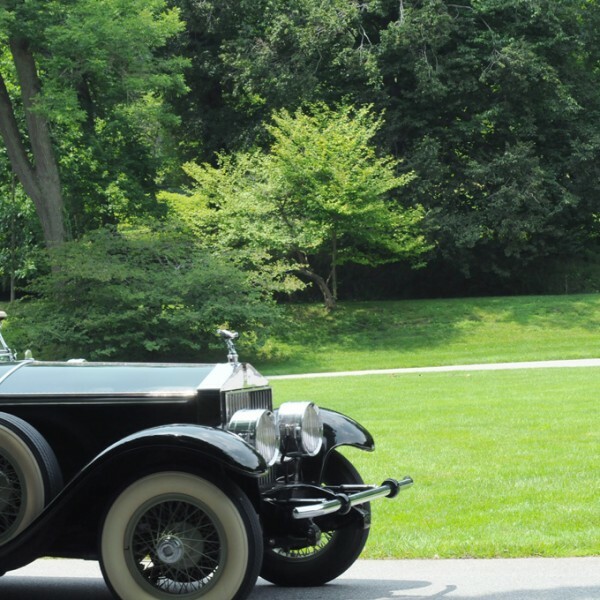 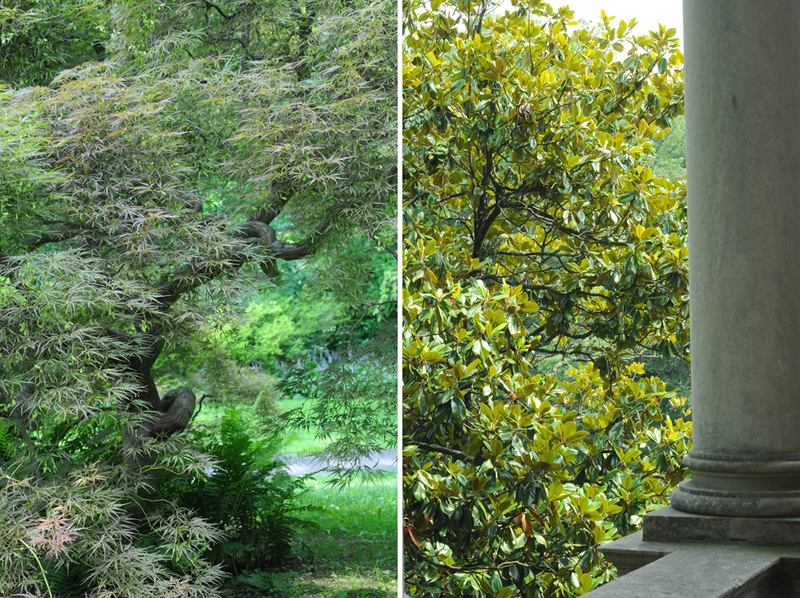 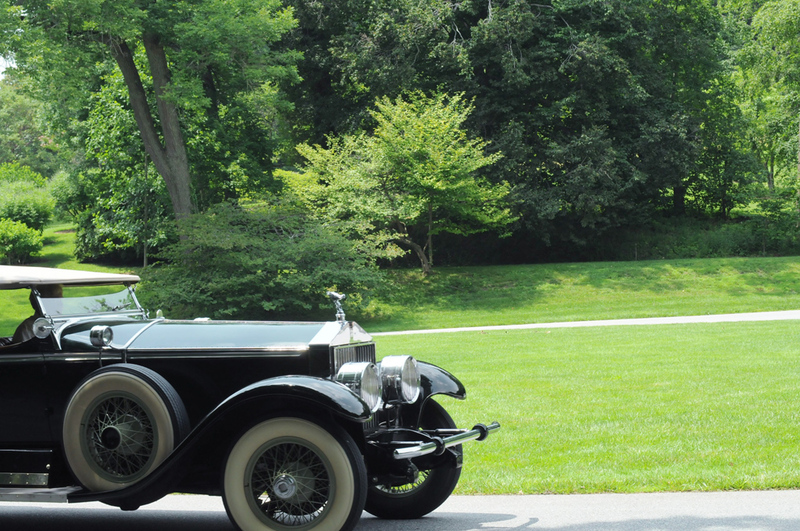 In the month of July 2015, I visited the Winterthur Museum that was established by Mr Henry Francis du Pont (1880-1969) on his own country estate in 1951. 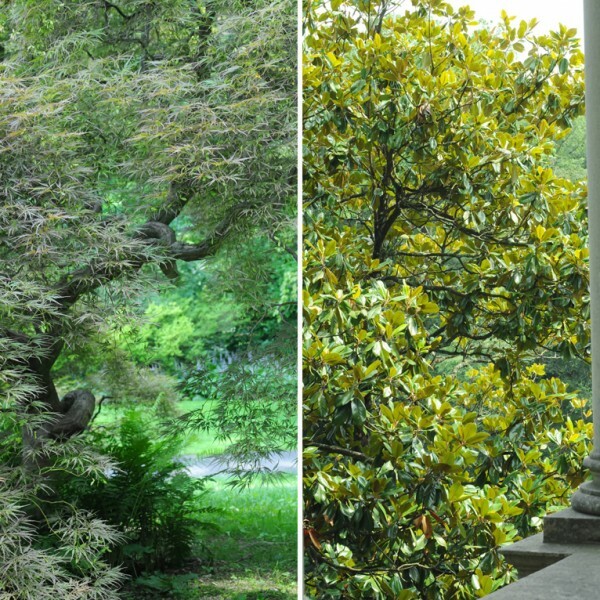 In a 1,000 acres property surrounded by a gigantic naturalistic garden, this castle is located half an hour away from the center of Wilmington, Delaware. 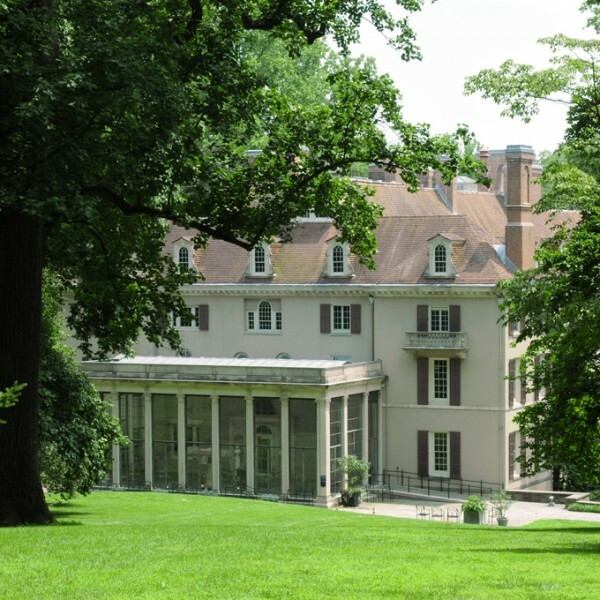 This impressive mansion of 175 rooms turned into a museum was the biggest achievement of this member of the Du Pont family, an avid antique art collector and horticulture expert. 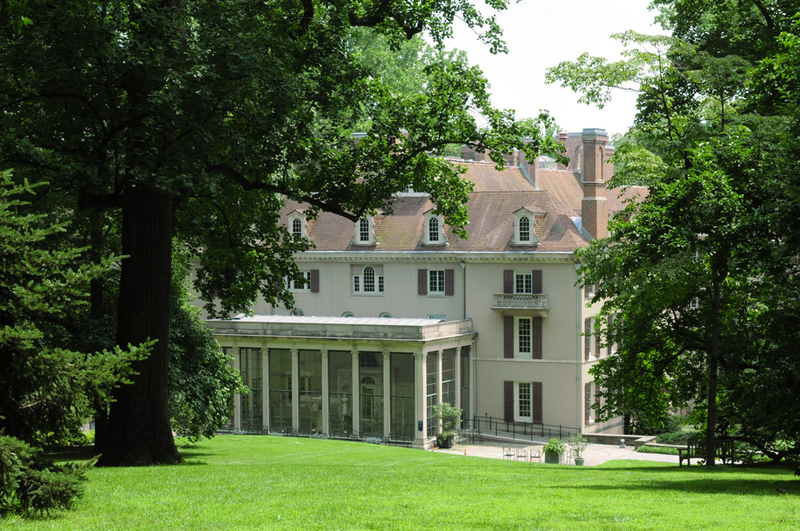 In this dream house for American decorative arts, one can find a massive collection of 90,000 objects made or used in the United States from 1630 to 1860. 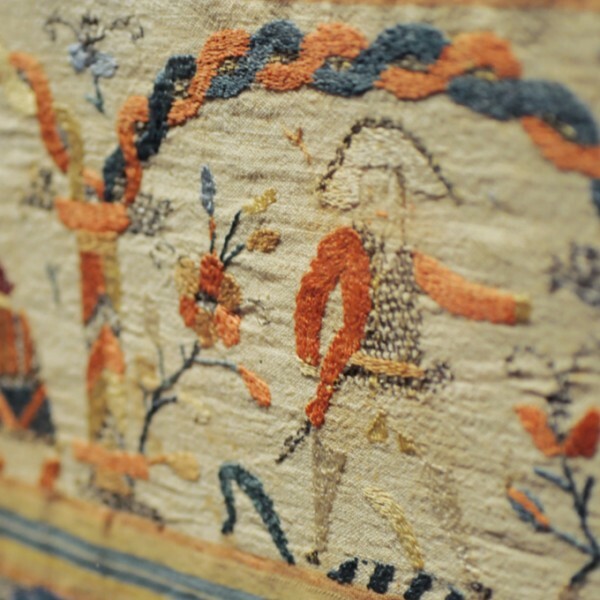 The furniture, ceramics, glassware and metalwork, paintings and textiles are nicely displayed in a succession of lavish period rooms and spacious galleries. 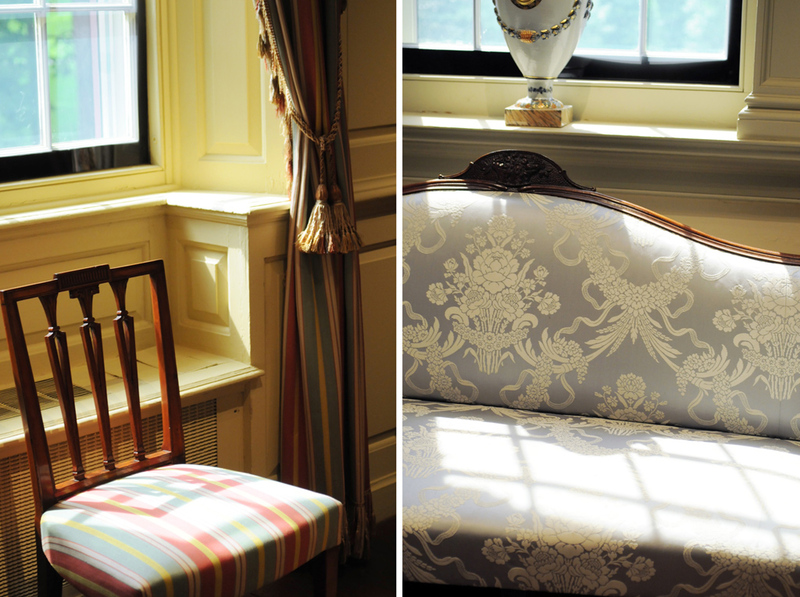 It takes up to a few hours to wander through all the levels and halls of the main building. 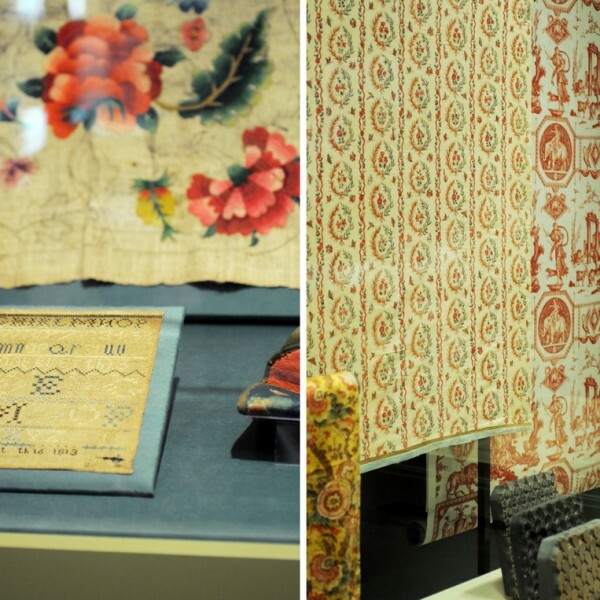 Internationally renowned, Winterthur also brings together a rich crowd of researchers interested in studying its outstanding collection with the support of an extensive library. 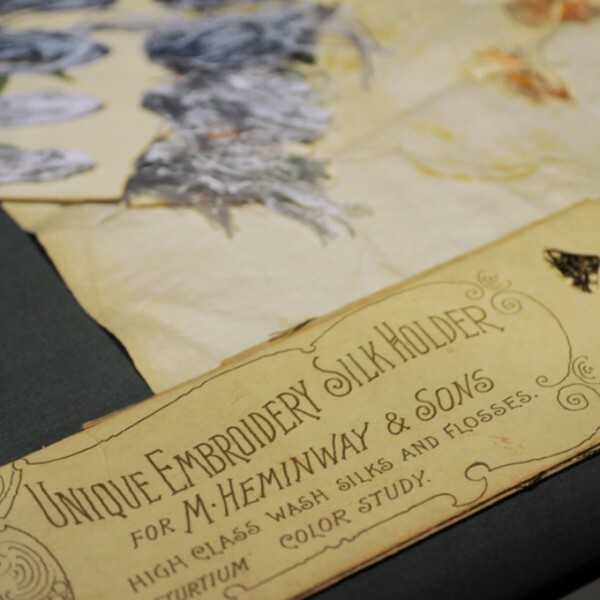 In partnership with the University of Delaware, the institution also offers masters degree programs in American material culture and art conservation. 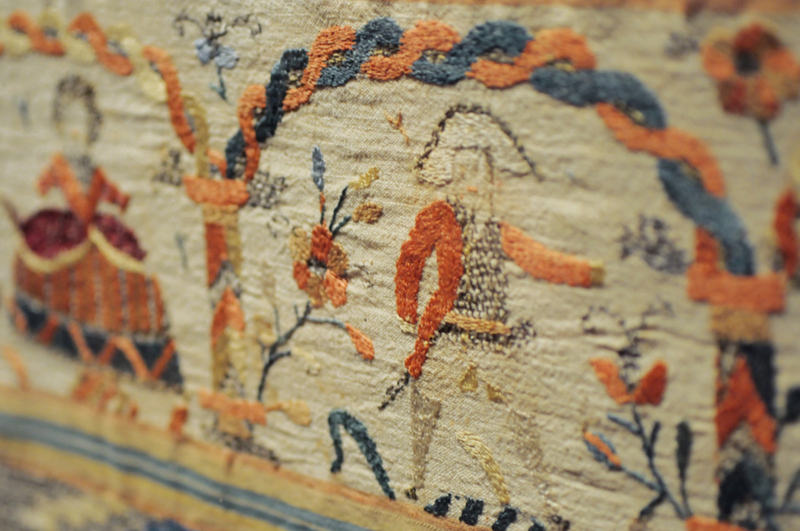 As for textiles, Winterthur counts around 20,000 outstanding artifacts. 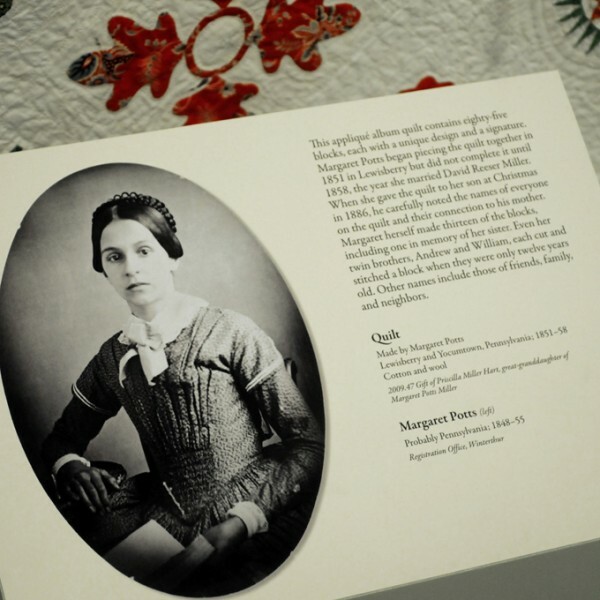 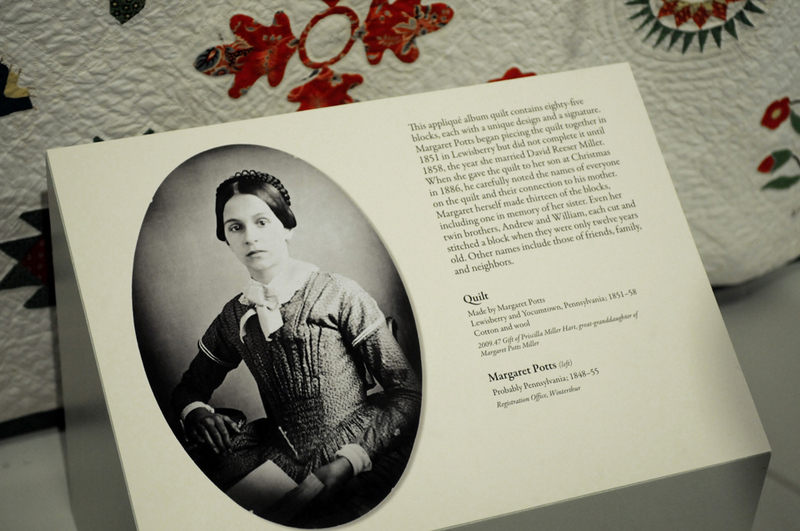 Mr. Du Pont collected all kinds of American folk fiber productions such as lacework, quilting, and embroidered samplers. 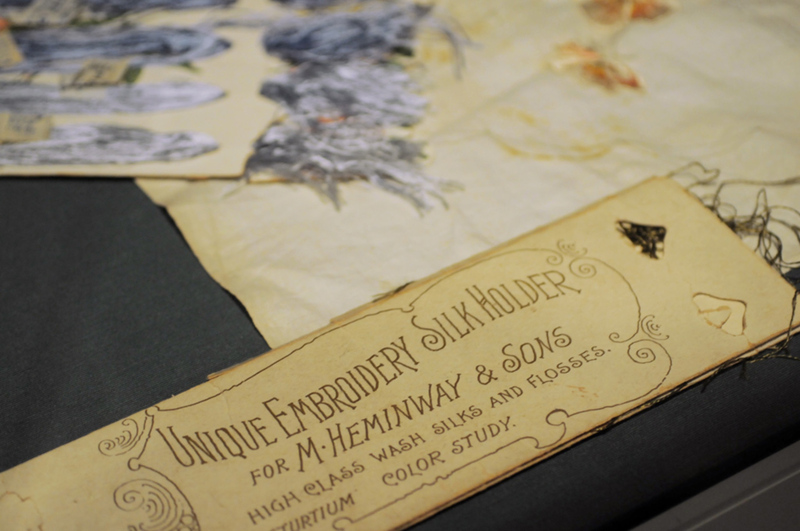 He was very sensitive to textiles for their colors, patterns, and textures. 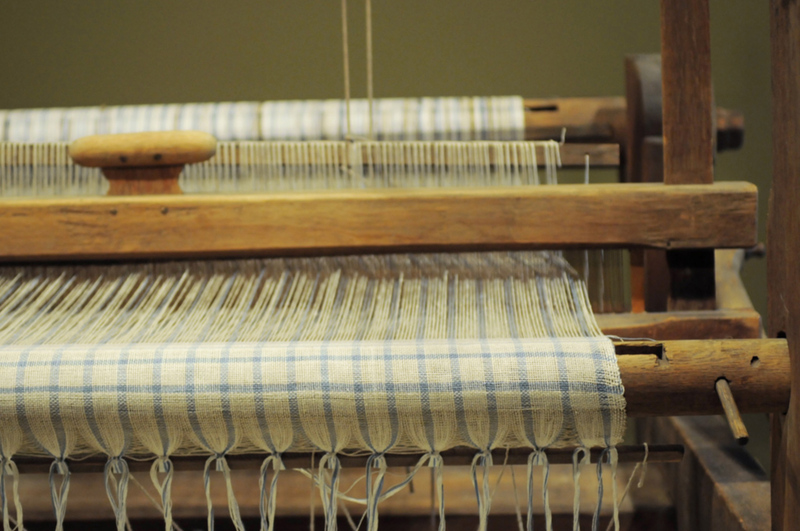 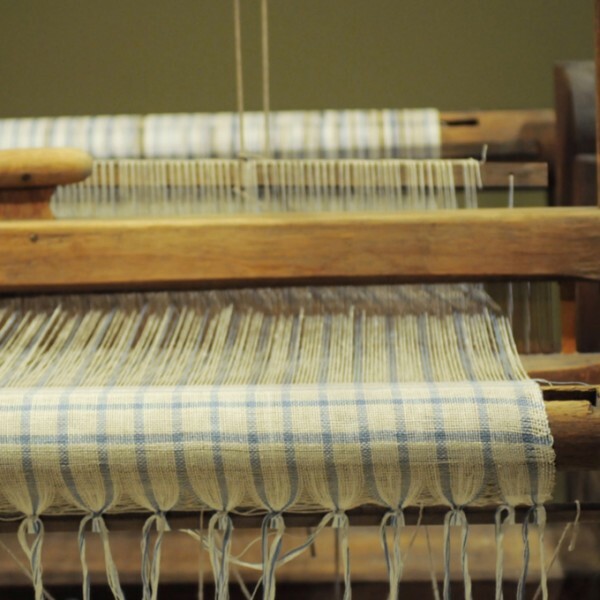 From quilts to gowns, samplers to bed hangings, Winterthur’s collection includes a wide range of textiles produced or used in America all exemplifying traditional female craftsmanships. 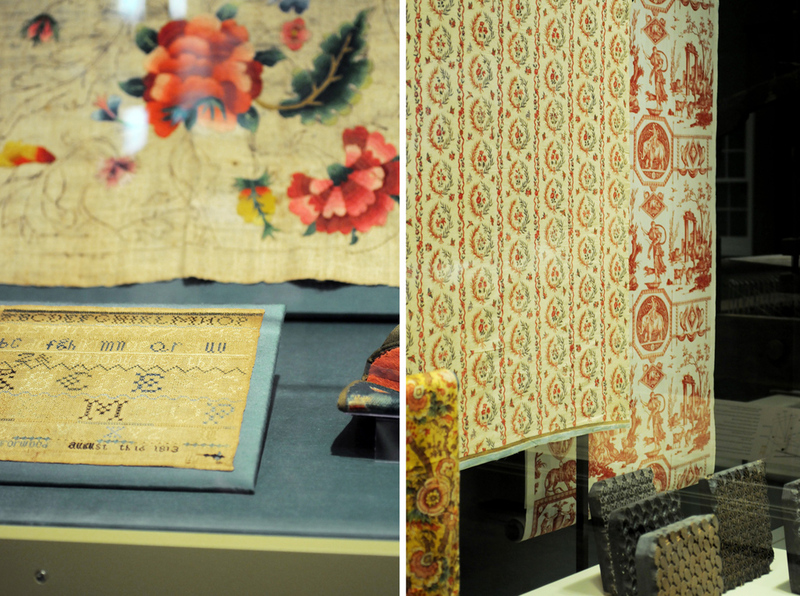 I particularly enjoyed the temporary exhibition called “The Diligent Needle, Instrument of Profit, Pleasure and Ornament.” It showcased wonderful examples of needleworks and folk textiles from the seventeenth to the nineteenth century, highlighting some of the finest examples of the museum’s collection. 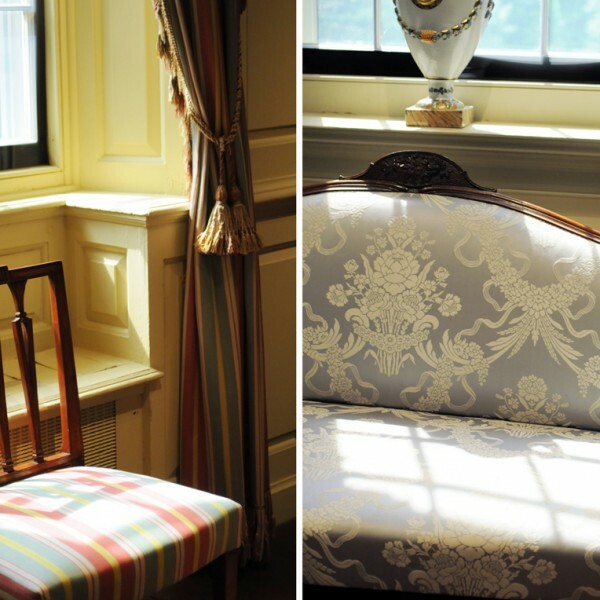 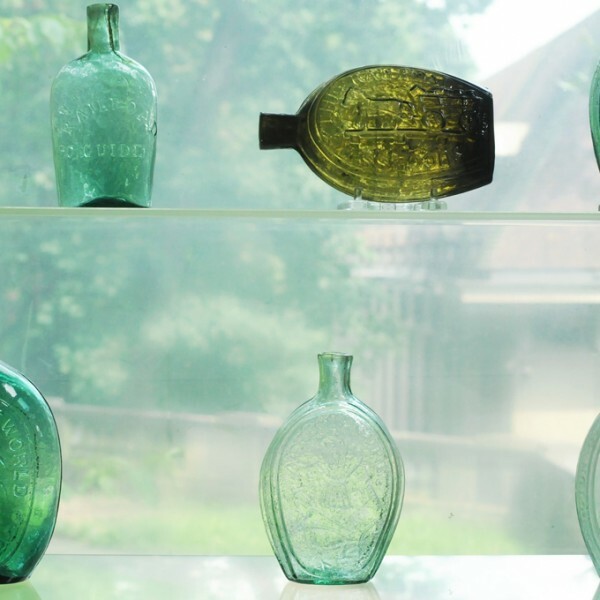 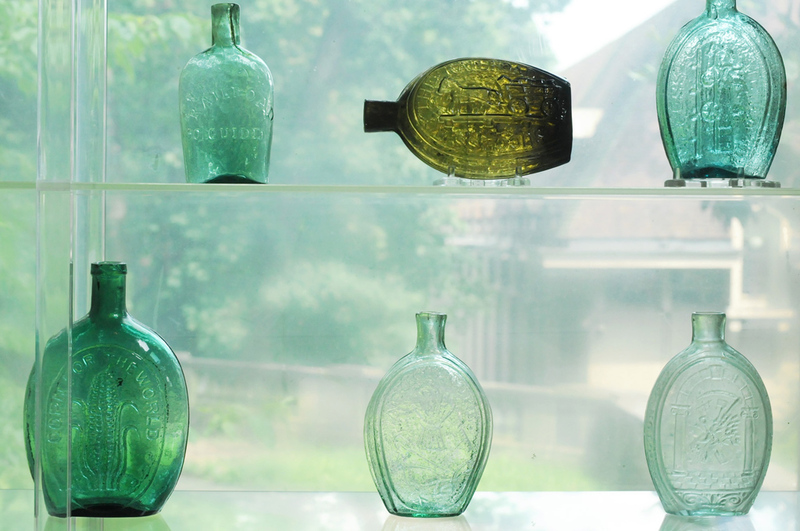 Winterthur is a place of beauty and history offering a wonderful introduction to the American decorative arts.